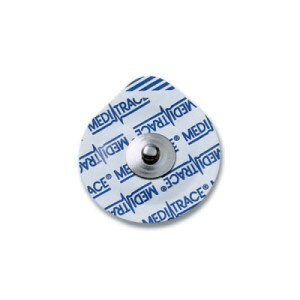 Kendall (Medi-Trace) 133 adhesive pre-gelled electrodes. 1-1/4 inch diameter, 150 count. For use on skin with Snap-In leads. Kendall (Medi-Trace) electrodes have foam substrate, for use on skin and have excellent but gentle adhesion. Compare with other electrode types below.